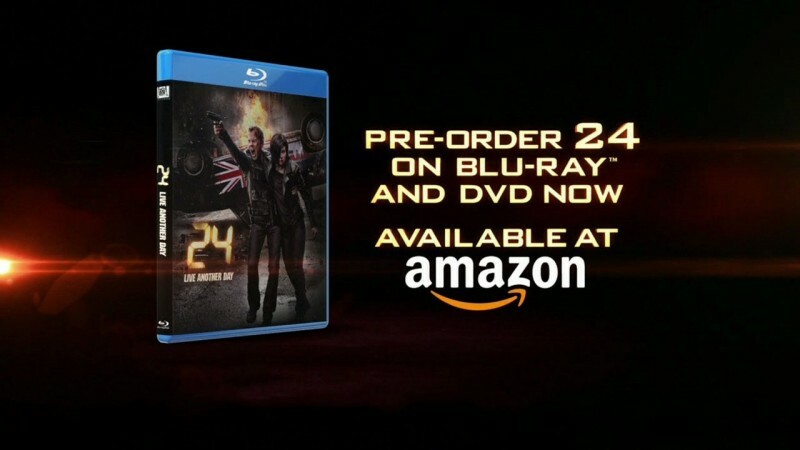 FOX aired a promo commercial for the upcoming 24: Live Another Day DVD and Blu-Ray release which says “a character from the past returns.” We told you last week that character would be Tony Almeida. No release date has been officially announced yet but FOX’s online store has a date of September 30th. We’ll keep you up to date. 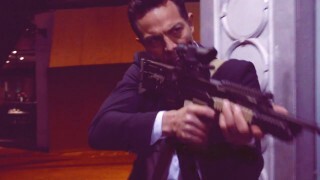 Check out the action-packed promo for 24: Live Another Day Episode 10! 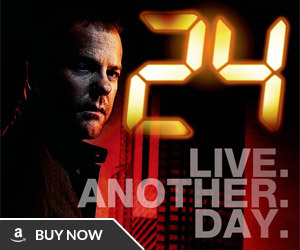 Promo for the 24: Live Another Day event series finale. 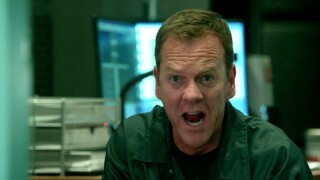 Will Jack Bauer survive? All most 100% sure they are talking about Cheng Zu?, in this context. 1. Where are they? I think it was Jon Cassar (or maybe David Fury, whoever answered that question recently that promised that Tony Almeida’s fate would be revealed in an extra scene on the DVD) said that Tony was currently in prison, but I thought that looked more like a warehouse or a parking garage. 2. Who said, “That’s impossible!”? The voice sounds familiar, but I can’t place it. This might sound crazy, but I think it kind of sounds like Tobin Bell, who portrayed Peter Kingsley way back in season 2. That silhouette was Karl Rask from the sixth episode. I don’t think they shot the Tony scene yet and/or want to keep it secretive so they put something together using old footage. Do you think that was Karl Rask’s voice, too, that said, “That’s impossible!”? The voice is from Adrian Cross, when Chloe first returns after Jack breaks her out. That voice was Jack’s – the video clip even shows his face when we hear the “That’s impossible”. Rask was a blip on the screen of this season – I see no reason the writers would spend any time on the DVD about him, much less glorify him as a “character of the past”. I don’t mean to be a jerk, but you’re both wrong. Jack Lloyd, I don’t know whose voice that is, but Adrian Cross does not sound like that. 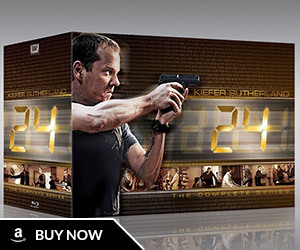 TJ, Jack Bauer doesn’t sound like that, and when we hear, “That’s impossible!” The silhouette of Karl Rask is still on the screen; furthermore, after the silhouette of Rask, all the commercial shows is the cover of the DVD case. I don’t think the commercial is designed to glorify Rask as a character of the past; rather, I think it’s intended to tease the viewers into wondering who the character from the past might be, and they were counting on most viewers not remembering that scene and being able to identify the silhouette as belonging to Rask. Or instead of intending to tease us, maybe they were still counting on us not recognizing Rask, but they wanted us to think it was Tony Almeida and they didn’t simply show us a tiny clip of Tony because that footage isn’t available yet (so they showed us a silhouette of Rask, which was the closest thing they had). I hope I didn’t make that too confusing? Did you watch the finale ? I am hoping they film something that gives us closure as to Jack in RUssia . I was in mourning a couple of weeks before the show even ended just knowing that the season finale was nearing. Yes, I cried! Hated that Audrey died. Can’t Jack EVER be happy? There were some really memorable scenes; Jack and President Heller finding out that Audrey had died and of course Chloe and Jack’s final words. The latter reminded me of the ending of season 8 where Chloe and Jack said their goodbyes. Cried then too! I liked the ending IF Jack comes back for another season. IF this truly is the end, I think my hero deserved some happiness. I’ve been a fan since season 1.Please tell me that Jack will live another day. Bring Tony and Chloe back with him. The voice sounds like Adrian Cross. I really hope the release contains all the footage missing from this insanely paced season. What I wouldn’t give for: a conversation between Heller and Jack that will resonate and address all those harsh words Heller uttered in Season 6 and feels more authentic than “I gave you a pardon” and “I never wanted a pardon, not for this” In all fairness the writers did allow Jack to get stuff out on the table but it was not reciprocated. Or something more than an Eskimo kiss between Jack and Audrey– I never expected a flat out reunion, but my God they had so much that needed to be said and a final conversation that starts “Kill Him” and ends with “I gotta go” is not emotionally satisfying. Or having Mark do one last rat weaseley thing so that when he gets nailed to the wall we are glad and cheering instead of MEH about his going home to face justice. Or a conversation with Chloe and Jack or even Chloe and Kate or hell Chloe and Belchek….anyone that allowed her to get out what needed to be said and set her on any kind of path other than going back to the USA facing treason charges of her own and no where to pause for her to process the horrors of her day. Or Cheng being confronted by Jack and Audrey or Jack and Heller or Jack and Chloe or hell Jack and Belchek and having a conversation about what needed to be said. Then off with his head.
. Manny and Evan said so in their AMA on reddit last week. That silhouette sure looks like the close-shaved Tony of S7 to me! Its not Tony Almeida… the suggestion is ridiculous. 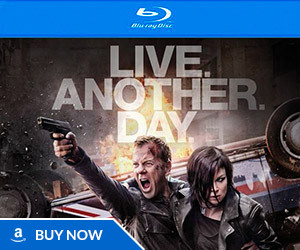 This is just a promo for the dvd/br release of live another day, its advertising the season not the to-be-added bonus one minute clip that tells us what happened to Tony. The character from the past returns is probably Cheng Zi, the silhouette is Rask, and the voice is Adrian Cross. It’s not Tony, in this scene its Rask. However, this doesn’t rule out a return for Tony but I’m not sure he will feature in person. Like they did with S1…. Maybe with a good ending for Audrey and Jack. Afterall they change the “finale” until last minute…..
“A character from the past returns” you could say that about every single series ever made.